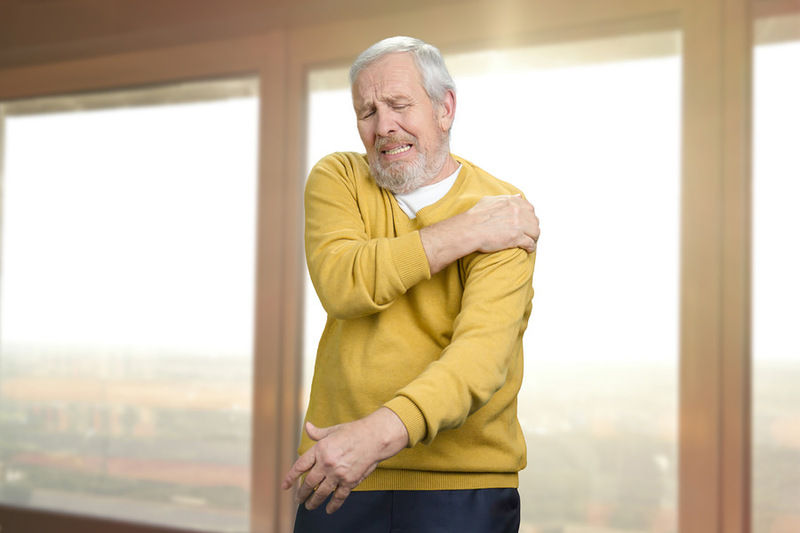 Do you have a rotator cuff injury or persistent shoulder pain? Medical research has shown that surgery and physical therapy are the two most effective solutions for fixing rotator cuff tears and shoulder pain. ...there are a few things you need to know about surgery and physical therapy. MDSave.com reports the average cost of rotator cuff repair surgery is $8,418. Of course, the type of surgery you have and your insurance coverage will affect the cost, but it can be substantial. 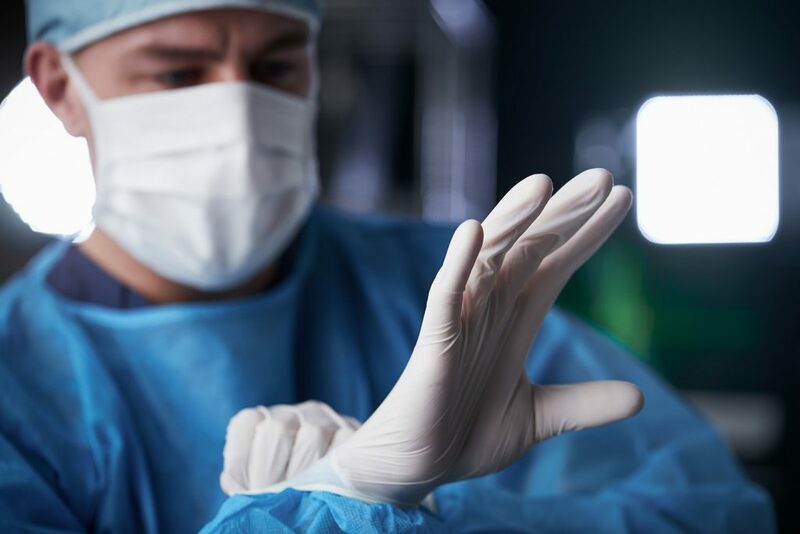 Like any surgery, shoulder and rotator cuff repair surgery can be risky, depending on your particular circumstances. If we translate all that science-talk into plain English, what they’re really saying is: physical therapy (exercise and stretching) can be as effective as surgery for rotator cuff tears. And we know that physical therapy costs a lot less and has less risk than surgery. So this is good news, right? What the 2014 Finnish study really proved is that some physical therapy and exercise programs can be as effective as surgery. But I know, from 25 years of experience, personally seeing hundreds of clients who had rotator cuff injuries, is that physical therapy doesn’t work for many people (probably even most people) who have rotator cuff injuries and shoulder pain. I know this because many of my clients who had rotator cuff injuries tried physical therapy before coming to me, and it didn’t work for them. Why doesn’t physical therapy work for so many people with rotator cuff injuries and shoulder pain? ...and they’re not designed using the latest scientific and medical research. But, don’t worry... there is hope! ...because on this page, I’m going to show you a NEW SOLUTION for your rotator cuff injury and shoulder pain! If you think you’ve tried everything, you haven’t tried this yet! I can’t guarantee it... but I’m very confident that this solution is going to be the thing that heals your rotator cuff and ERASES your shoulder pain once and for all! This solution is going to return you to full functionality, so you can do all the day-to-day things you need and want to do, and get back to living a normal, active, happy life - the life you had before. This NEW solution is going to take away your pain, so you can sleep again - yes, all the way through the night! This solution is also completely natural - it’s just a simple sequence of easy and gentle exercises and stretches. And these exercises and stretches are so easy and gentle that it doesn’t matter how old you are… it doesn’t matter if you’re out-of-shape… it doesn’t matter if you feel inflexible… it doesn’t matter if you’ve never exercised a day in your life… you can definitely do this program! And the whole thing only takes 13 minutes (or less) to complete every day. 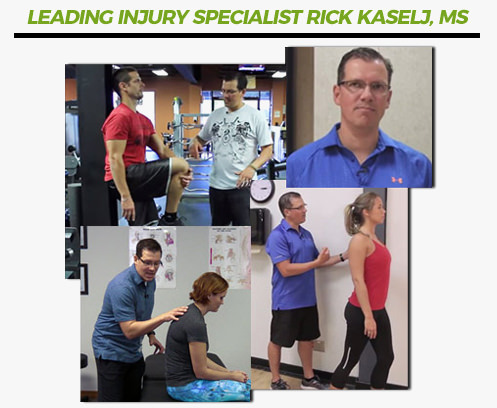 Rick Kaselj, MS - a true expert on rotator cuff injuries and shoulder pain. Unfortunately, most physical therapy and exercise programs for healing the rotator cuff and reducing shoulder pain are designed by people who are unqualified. And just being a doctor, physical therapist or “health and fitness guru” does not mean someone is qualified. My name is Rick Kaselj and I designed the new rotator cuff and shoulder pain solution I’m going to show you on this page. I spent 6 years at University studying Kinesiology, Corrective Exercise and Therapeutic Exercise, and got my Master’s Degree in Exercise Science. I wrote my Master’s thesis specifically on rotator cuff injuries, and it was published in the Canadian Journal of Kinesiology in 2008. I have 25 years of hands-on experience, working directly with clients who’ve had rotator cuff injuries and shoulder pain. Most doctors, physical therapists and “fitness gurus” don’t have the time, inclination, patience, or willingness to review the latest scientific research and medical studies related to rotator cuff injuries and shoulder pain. Because of this, most rotator cuff recovery programs are just ‘made up’ and ‘best guesses’ about what will actually help people. I don’t do things that way. I spent a large part of my undergraduate and graduate studies focusing on rotator cuff and shoulder injuries and pain, and I continue to review the latest research and findings BEFORE I design any program that my clients and customers will use. The solution I’m going to show you on this page was designed using all of the knowledge I gained extensively studying rotator cuff injuries in school AND the conclusions and findings from the latest research and studies. That’s why this program works so well. Because most doctors, physical therapists and “fitness gurus” don’t take time to review the latest research, they make some BIG MISTAKES and LEAVE A LOT OF IMPORTANT INFORMATION OUT of the rotator cuff and shoulder pain programs they develop. 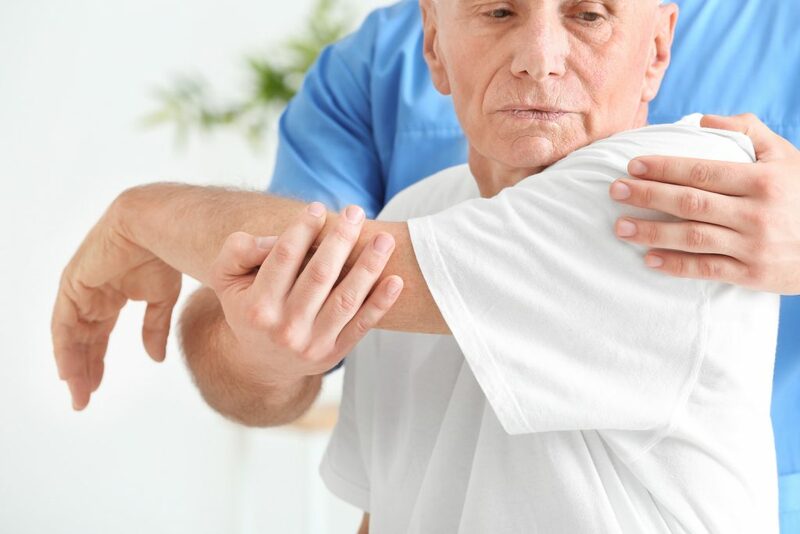 In other words, most rotator cuff and shoulder pain programs don’t work because they are too narrowly focused, and only offer a few approaches to healing your rotator cuff and reducing and eliminating your shoulder pain. Because I spent so much time reviewing the scientific and medical research, I learned that there are multiple different methods, exercises, stretches and movements that are all highly-effective for healing the rotator cuff and reducing and eliminating shoulder pain. Using these insights and everything else I learned reviewing the research, I created a comprehensive exercise and stretching program that utilizes 7 different approaches, that all work together, in a cumulative fashion, to heal your rotator cuff, reduce and eliminate your shoulder pain, and get you back to full functionality in your arm and shoulder so you can go back to living a normal, healthy, active, happy, independent life! As you can see, my program is a lot more comprehensive and includes a lot more approaches to healing your rotator cuff and shoulder pain. It’s not always true in life that more is better, but in this case, it is. IF YOU’RE WORRIED my program looks TOO comprehensive, and that it will be difficult, complicated or time-consuming, don’t worry. In spite of the fact that my solution is so comprehensive, the routine you’re going to learn in the program takes only 13 minutes (or less) each day to complete, and is so easy and gentle that virtually any person can do it, regardless of age, weight, fitness level, or flexibility. In fact, you can do this program if you’re out of shape, you have very little flexibility, and even if you’ve never exercised a day in your life. Most people who are prescribed or buy exercise programs like this one, don’t actually do them on a consistent basis. As you can probably guess, if you don’t do the exercises on a consistent basis, you’ll get no benefits or positive changes in your life. ...because that’s the only way it will have any value for you. You don’t need a gym, special exercise clothes, or any expensive equipment to heal your rotator cuff and reduce and eliminate your shoulder pain! Do you have a full work and life schedule already? Or, do you just have ZERO desire to do REALLY long workouts? No problem - this exercise routine only takes 13 minutes (or less) to complete. ...And then drive back to work or home? GREAT NEWS!... You don’t have to do *ANY* of that! You don’t even need to shower after you do the routine, because you won’t even break a sweat! 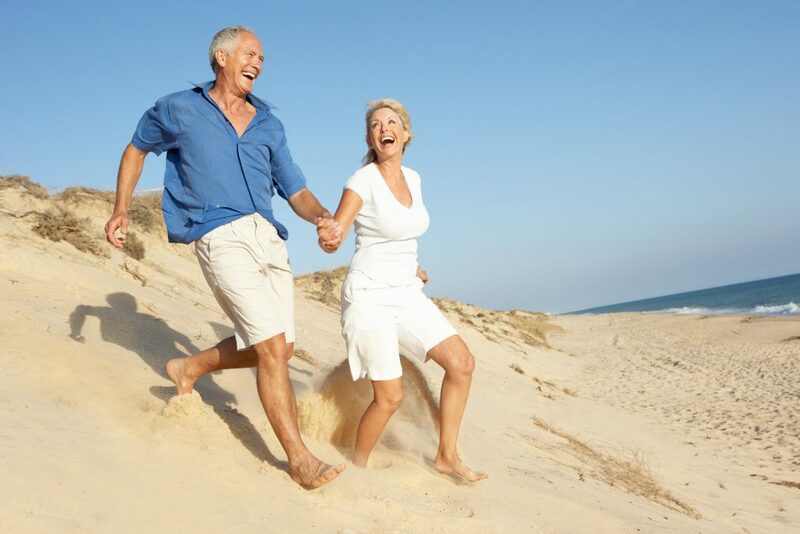 Are you worried you might be too old to do an exercise routine like this? Are you worried you might fall or get hurt while you’re doing this routine? Are you worried you’re too out-of-shape? Are you worried you can’t do this because you’ve never really exercised consistently (or at all)? ...I’ve taken all of this into consideration when designing the 13-minute, rotator cuff-healing routine I’m about to show you. 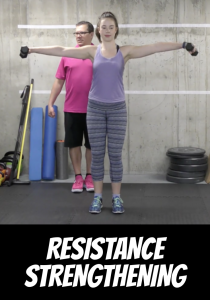 This exercise program was designed specifically for men and women who have a rotator cuff injury and shoulder pain, knowing full well that people in this group have different exercise needs and capabilities. The movements and exercises in this routine are extremely gentle, safe and easy on your joints. In this program, we give you three different stages of exercises - each is a different level of difficulty - easy, medium and advanced. This allows you to start wherever you feel comfortable (most people start right at the beginning) and customize the program for gradual progression, so you are comfortable at all times. If the exercises become too easy for you, we also show you how to increase the challenge and difficulty so you make more progress. If you’re concerned about your shoulder pain, remember these exercises were created especially for people who have even severe shoulder pain! I have created more than 30 exercise programs that help people recover from injuries and eliminate pain, and they work. 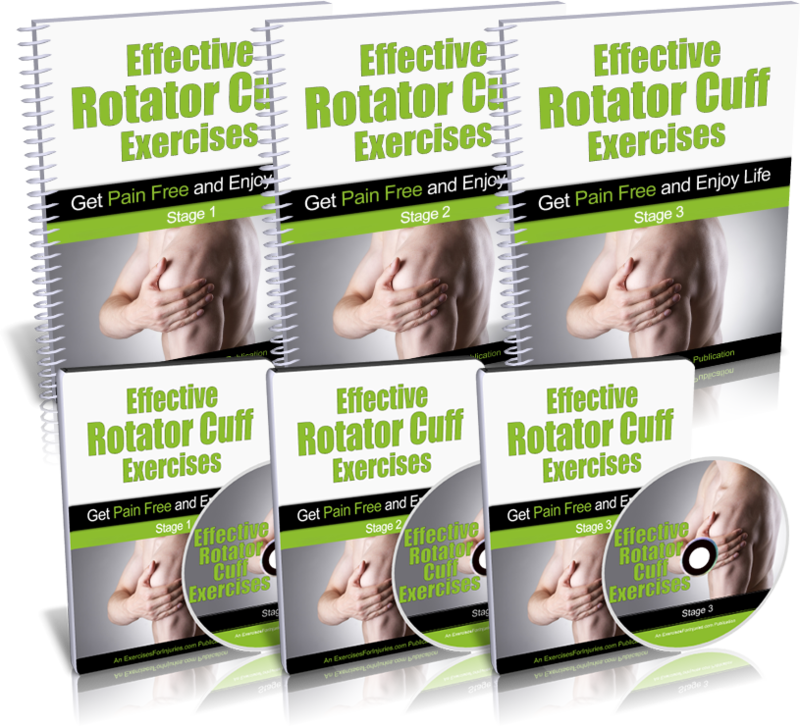 “I purchased and downloaded his Effective Rotator Cuff Exercise program and am very proud to say that I did a subset of the exercises that were right for me – with dedication, for weeks – and now it is all FINE! I have regained ALL of the function I had lost, which is pretty astonishing given how bad it was. rotator cuff and shoulder pain program? And how can YOU start using it too? After seeing so many clients who had rotator cuff injuries and bad shoulder pain, I decided to create an exercise program that could help heal the rotator cuff, reduce and eliminate shoulder pain, and get people back to full functionality in their arm and shoulder so they could go back to a normal, healthy, active, happy life. And as I explained above, I designed this 13-minute exercise routine to be very easy-to-learn and do, on a consistent basis, so people ACTUALLY WOULD do it. I also used all the latest and relevant research to make sure the program would be EFFECTIVE too. I call this new program: Effective Rotator Cuff Exercises. Effective Rotator Cuff Exercises is a video exercise program you can do at home, completely on your own. It’s a simple program of easy and gentle movements that only require your body and a few inexpensive items (NO GYM REQUIRED), and the whole program can be done in just 13 minutes a day. The videos in this program show you how to do every exercise perfectly, in exactly the right sequence, with exactly the right number of repetitions and sets, all laid out for you, in explicit detail. and... it only takes 13 minutes a day (or less)! Why does this system work so well? Because it’s based on scientific research and medical studies, and because it’s comprehensive and it’s easy. ...because it includes 7 different approaches to healing your rotator cuff injuries, increasing strength, flexibility and range of motion in your shoulder, loosening and lubricating your shoulder joint, and lots more! Because we attack the problem from so many different angles, and with so many different methods, your rotator cuff injury and shoulder pain have nowhere to hide and can’t help but get better! The first thing we need to do is loosen and lubricate your shoulder joint (glenohumeral joint). This gets your shoulder warmed up, makes it a lot easier to do the other exercises, and will start relieving some of the pain and tightness you’re feeling in your shoulder right away. We’ll do Pendulum Circles, Pendulum Horizontals, and Pendulum Flexion & Extension. These exercises are extremely easy and gentle, but very effective! Range of motion exercises help stretch the muscles around your shoulder, alleviate tightness and stiffness in the shoulder joint, and most importantly, improve your range of movement. These exercises are going to help you move and use your shoulder again, but without the pain! These are ‘passive’ exercises, which means we will move the shoulder joint on your injured side without using the muscles on that side to create that movement. We can accomplish this easily with the help of your other arm. These exercises are terrific - they’ll start relieving your pain and increasing your range of motion quickly… and they’re very easy to do. Isometrics are low-intensity muscle contractions you do without moving the joint at all. 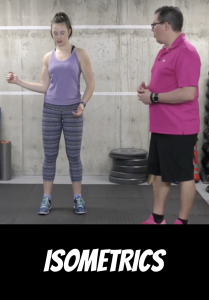 Isometrics are great for overcoming injuries because they’re easy, gentle and safe, but very effective. The isometric movements we do in the program will activate the rotator cuff muscles and scapular stabilizers, will help increase range of motion in the shoulder joint, and build strength and endurance. We want to gently stretch the shoulder so we can loosen up the joint, increase range of motion, and get the muscles prepared for further activation, strengthening and lengthening. In the program, we do a simple Doorway Stretch and an easy Tricep Stretch. Both only take seconds to complete! These exercises build on what we did with the Passive Range of Motion exercises. Because these are ‘active,’ we’ll work on increasing the range of motion in your injured shoulder using the muscles in the arm on the same (injured) side. This is much easier to do now because you will have already done a few weeks of the Passive Range of Motion exercises which builds a good foundation. Our goal here is to start getting you back to the normal range of motion in your injured shoulder, which means you can start doing the day-to-day things you need (and want) to do, but without the pain! 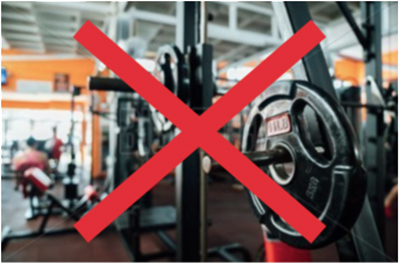 Most Rotator Cuff exercise programs do too much strengthening of the wrong muscles! They focus on the ‘primary mover’ muscle group, but in most rotator cuff injuries, that group of muscles is unaffected and doesn’t actually need to be strengthened. In this program, we focus on strengthening the muscles that are most affected and most need it - we target the rotator cuff muscles and the scapular stabilizers. We do these strengthening exercises gently at first, with your bodyweight only. And later, we’ll add some light resistance so you can gradually increase your shoulder’s strength, so it can start handling more movement and lifting. After a few weeks of doing the bodyweight-only strengthening exercises, we’ll move on to adding some light resistance with dumbbells and resistive tubing (you can buy these easily and inexpensively at department stores and online). As we progress, we’re going to strengthen the shoulder in all 6 of its main movements - flexion, extension, abduction, adduction, internal rotation and external rotation. And all of these exercises are still very easy, gentle and fast. It won’t be long until your terrible pain is replaced with strength and greater range of motion! Get INSTANT ONLINE ACCESS to the Effective Rotator Cuff Exercises Program. You get lifetime access to everything 24/7/365, on any computer or mobile device. and the 2 special bonuses! 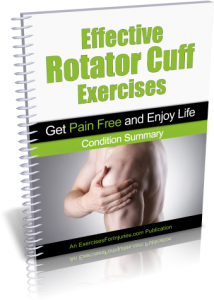 My team and I have just finished COMPLETELY UPDATING the Effective Rotator Cuff Exercises program. We shot all new videos, we created all new manuals, we added more resources like cheat sheets, reference guides, tracking sheets, and lots more! THE NEW PROGRAM IS AWESOME! We’re offering this discounted price of $29 and the 2 special bonuses to get this new version into the hands of a big group of people, so we can get some quick feedback and keep improving the program. 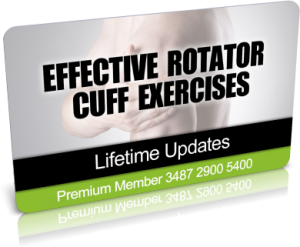 After the first 100 people order, the price for Effective Rotator Cuff Exercises goes back up to $59 and the 2 bonuses will no longer be included. You can still be a regular person – you don’t need to be a health and fitness nut to get great results with this program. This program only asks you to make small changes to your life, and make them gradually. UNLIKE MOST OTHER rotator cuff and shoulder injury recovery programs, Effective Rotator Cuff Exercises is based on scientific research and medical studies. In my 25 years as a Kinesiologist and pain and injury specialist, I’ve seen that the programs that are based on the conclusions of real medical and scientific research just work better than those that aren’t. You can do this whole exercise routine in just 13 minutes (or less) every day. You don’t have to do crazy intense, time-consuming workouts. The workouts in this program are low-impact and easy for just about anyone to do, but still very effective. You can do this exercise program pretty much anywhere, anytime - you never need a gym or any expensive equipment. You’ll learn not only how to do the exercises correctly, but also the common mistakes people make doing them. This is crucial because doing the exercises just right makes A HUGE DIFFERENCE in whether this will work for you or not. This is not just a bunch of exercises thrown together with the HOPE that they will heal your rotator cuff. This is a CAREFULLY DESIGNED SYSTEM based on medical research and scientific studies. This program has only the exercises you need… and none that you don’t. I didn’t just ‘make up’ this program. It is the result of YEARS OF SCHOLARLY MEDICAL RESEARCH. In fact, I wrote my Master’s thesis on rotator cuff injuries and recovery and it was published in the Canadian Journal of Kinesiology in 2008. You will know EXACTLY how to do each and every stretch and exercise PROPERLY. You will know EXACTLY what order to do the exercises in. You will know EXACTLY how many times to do each stretch and exercise. You will know EXACTLY how many sets to do. You will know EXACTLY what intensity you should do each exercise with. You will know EXACTLY how your body should feel when you do each exercise correctly. Nothing will be left out – you will have no guesswork or confusion about what to do. Everything in this program is systematized and laid out perfectly and clearly for you. All of your questions will be answered. I have diligently collected questions from each of my clients over the years, so you will have all the answers you need, and NEVER FEEL STUCK. And on the off-chance that I haven’t answered one of your questions, you can always email us at support@ExercisesForInjuries.com and we will get back to you quickly with an answer! Effective Rotator Cuff Exercises program? I want this program to be the last thing you have to do to heal your rotator cuff and eliminate your shoulder pain. I want you to get back to full use of your shoulders without the pain! Below is a description of exactly what each component of the program is and how each helps get you to your end goal >>> A HEALED ROTATOR CUFF AND NO MORE SHOULDER PAIN! It’s very important, before you get started, to assess your current condition. This is the first thing I do every time I see a new client with a rotator cuff injury and shoulder pain. We need to understand how much pain you’re experiencing now, how serious your injury is, and what range of motion you can currently handle. Having this information will prevent further injury, and help you get the best possible results, in the shortest amount of time. In your Self-Assessment Package, you get a video and a brief manual that walk you through, step-by-step, how to perform a simple self-assessment. Based on this information, you’ll know exactly where to start in the Effective Rotator Cuff Exercises program. When you get the Effective Rotator Cuff Exercises program, I want you to come up to speed FAST on what you need to know, so you can get started FAST, and start reducing your pain FAST! So, I’ve distilled the educational content of the program down to the most important summary points you need to know. 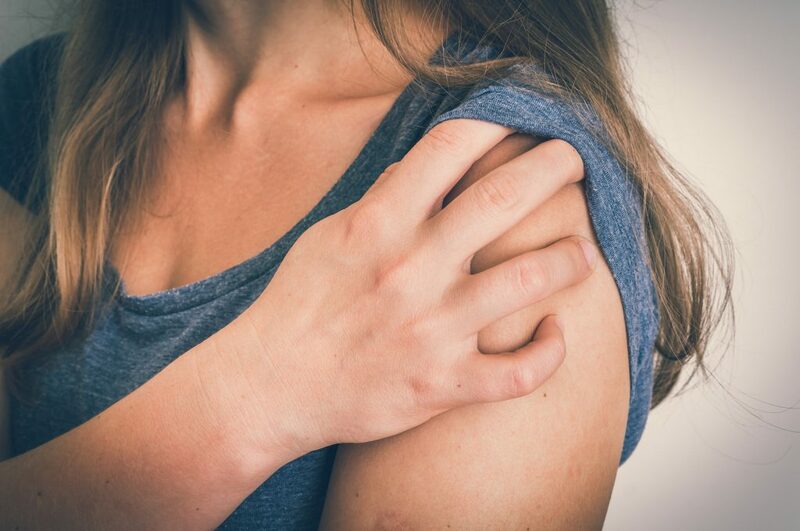 In this Quick-Start Cheat Sheet, I explain, in plain English, what the rotator cuff is, how it works, what causes injuries there, what the common symptoms are, which activities make it worse, and some important tips for healing it fast. 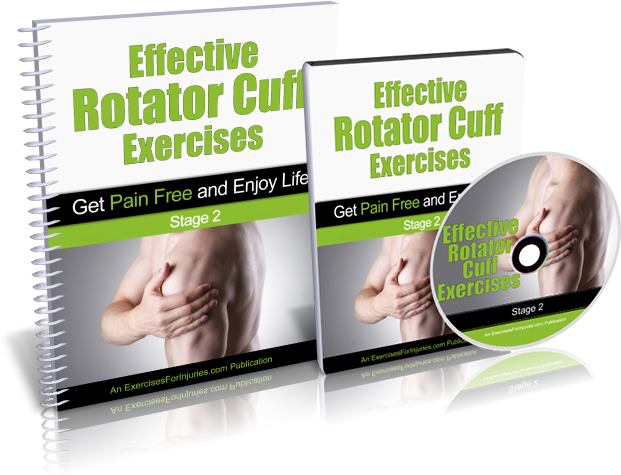 Effective Rotator Cuff Exercises is a comprehensive program of gentle, yet highly-effective stretches and exercises designed to heal your rotator cuff, reduce and eliminate your shoulder pain, and get you back to full functionality in your shoulders. Why does this exercise program have 3 stages? First… don’t be scared or overwhelmed by the fact that this exercise program has 3 stages. If you follow the instructions and do just the Stage 1 sequence, which will only take 13 minutes each day, you should feel a significant reduction of your shoulder pain within 7 days. And Stage 2 and Stage 3 are there to help you progress gradually - at the pace that’s perfect for you, until you reach your ultimate goal of healing your rotator cuff, eliminating your shoulder pain, and getting full use and functionality of your shoulder back, so you can go back to doing the things you want and need to do! The 3 stages progress from very easy (Stage 1) to more challenging (Stage 3). This 3-stage structure makes it so that virtually any person can complete this program, even those who have severe pain, and even those who have never exercised a day in their life. The 3 different stages also allow you to self-direct your progress so you can get the fastest possible recovery. My most important goal in creating this video exercise program was to make sure your experience with it is as close as possible to you having personal, face-to-face sessions with me. This is because, in order to get the best possible results, in the shortest period of time, it is critical that you learn to do these stretches and movements the right way, in the right sequence, with the right amount of intensity, and for the right length of time. Most video exercise programs leave these kinds of details out, and this leaves you unsure about exactly what to do, and exactly how to do it. This causes confusion, and might leave you discouraged, and you may decide not to continue with the program, which means you’ll definitely not get the results you want. My goal was to make these videos as close as possible to real, face-to-face training and coaching sessions with me, so you get the results you want, as quickly as possible. ...so you can do it consistently, until your rotator cuff is healed, you have no more shoulder pain, and you can do all the day-to-day things you need and want to do! Give you EVERYTHING you need - exactly how many repetitions and sets you should do, time and intensity, what you should feel as you do the exercises so you know you’re doing them right, and more. You also get 3 Follow-Along Videos - one for each of the 3 stages. These videos are your virtual personal coaching sessions with me. These videos make doing this program SUPER-EASY. 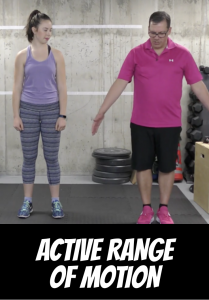 When you’re ready to do your exercise sequence for the day, just play the Follow-Along Video and do each of the stretches and exercises following right along with my exercise assistant, who does them all, on the video with you. While you do that, I’ll be counting out time and reps, and coaching you along the way. Tips, advice and instructions for everything else you need to know, like: number of repetitions, number of sets, how long each rep should take, exactly what you should feel as you do each stretch and exercise so you can be SURE you’re doing them correctly, and how to progress if the exercises become too easy. As mentioned above, for each of the 3 stages in the Effective Rotator Cuff Exercises program, you get an instructional video, a follow-along video, and a comprehensive manual. Once you get into the program and start learning the exercises, you may want a faster, more convenient way to access the exercises, rather than having to fast-forward through the videos, and leaf through the larger manuals every time. That’s exactly what these Exercise Quick Reference Guides are for. You get an Exercise Quick Reference Guide for each of the 3 Stages in this program, so you’ll have a quick and easy way to find, learn, and do all of the exercises in each stage. In each Exercise Quick Reference Guide, you get a start and end photo for every stretch and exercise, a quick summary of the stretch or exercise, and instructions for how to do it correctly. Peter Drucker said: “What gets measured, gets improved.” In my 25 years as a Kinesiologist and pain and injury expert, I’ve seen time and again that the people who measure their progress while they do my programs typically get better and faster results than those who don’t. It’s very important to measure your progress as you do this program. It will keep you on track. It will keep you motivated... which will keep you doing the exercises... which will actually get you the results you want. You simply cannot get the results if you don’t do the stretches and exercises! You get a Progress Tracking Sheet for each of the 3 stages in this program. All you have to do is check off the exercises you do each day. It takes only a few seconds, but provides massive benefits! 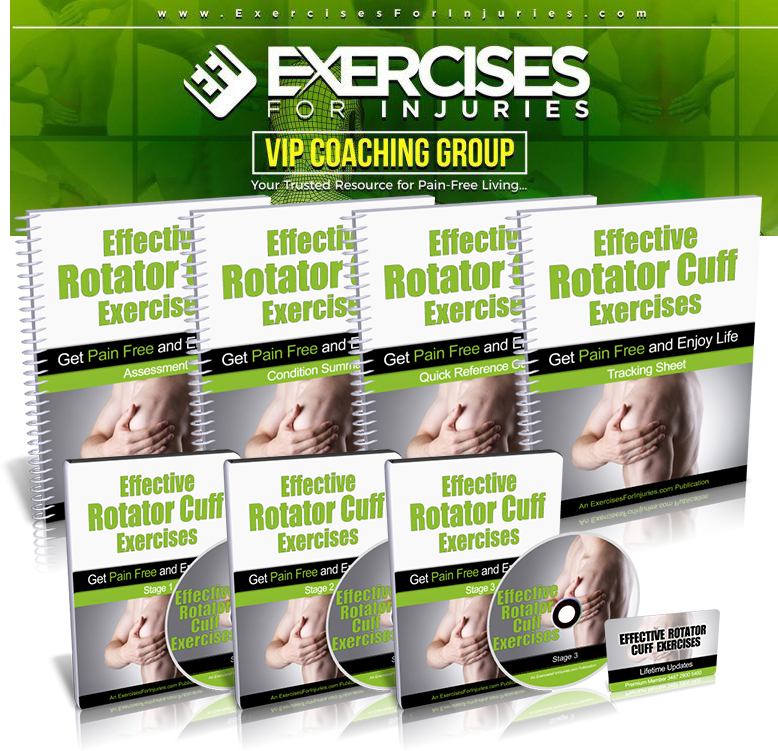 If you’re one of the first 100 people to test-drive Effective Rotator Cuff Exercises, you’re going to get FREE LIFETIME ACCESS to my Exercises For Injuries VIP Coaching Group. In this group, you can have all of your questions answered by my team of health and fitness experts. You’ll also get support, accountability and inspiration that isn’t always available in your own life. Support, accountability and inspiration are critical to ensuring that you follow through on the Effective Rotator Cuff Exercises program, so you can heal your rotator cuff, reduce and eliminate your shoulder pain, get back full use of your shoulder, and restore your confidence, freedom, and independence! For many of my customers, this coaching group is the missing piece that finally helps them overcome their injuries and achieve their health and fitness goals. I am always adding new material to this program in order to help you get better results. You will get FREE access to all updates for life! This program comes with a 60-day, no-hassles, no-questions-asked, 100% money-back guarantee. Take the next 60 days to test drive my whole program to MAKE SURE you are getting the results you want! If you’re not getting the results you want, or you’re not completely ecstatic, or you just decide to change your mind... all you have to do is contact my team anytime within 60 days of the date of your purchase at (888) 291-2430 or support@ExercisesForInjuries.com, and we will immediately issue you a full refund. Why do I offer a 60-day, 100% money-back guarantee on Effective Rotator Cuff Exercises? To show you how confident I am in this program. This program is based on real scientific studies and research. It includes exercises, movements, and sequences that you won’t find anywhere else. I want you to know that you have no risk, so you can get this program and use it with peace-of-mind. I want you to be focused on learning and doing the easy, gentle movements and stretches in this program so you can heal your rotator cuff, reduce and eliminate your shoulder pain, and get back to full functionality in your shoulders. I don’t want you to have to worry about whether this is going to work, or whether you’re going to lose out, or anything like that. With my 60-day guarantee, you can put your mind at ease and just focus on doing the program and getting the results you want. And if at any time during that period, you want your money back instead, just let my team know, and you will have it! program… for 60 days, with no risk. AND you’ll get the 2 special bonuses! 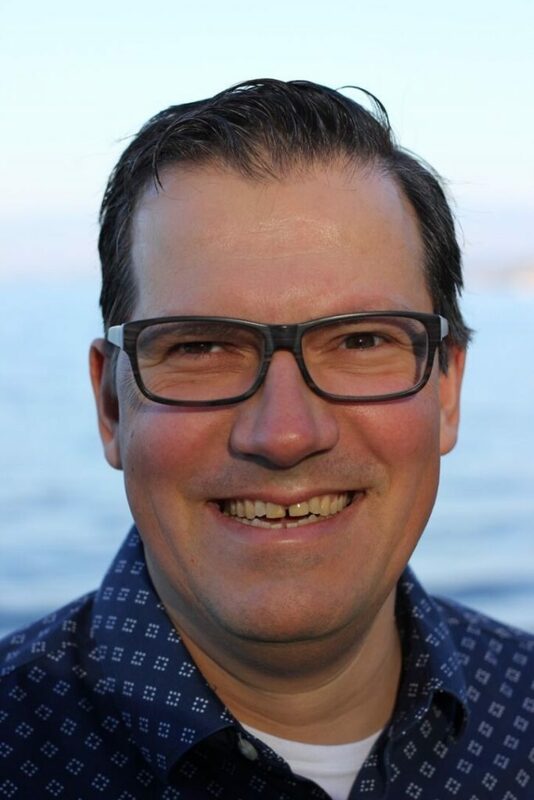 Hi, my name is Rick Kaselj and I’d like to tell you a little bit about me, so you can feel comfortable that the program you’re considering comes from a credible authority, with expert-level training and experience. I’ve been a Kinesiologist and pain and injury specialist since 1994 (25 years). I have 25 years of hands-on experience, working directly with clients and teaching my techniques and programs to fitness professionals, Kinesiologists, and healthcare providers. I have conducted thousands of personal training sessions. I have reviewed and carefully scrutinized hundreds of scientific and medical research papers and studies. I’m also an author and speaker, and I’ve given over 260 presentations to more than 5,000 fitness professionals across Canada and USA. I USE RESEARCH, STUDY, AND HANDS-ON TESTING TO FIND WHAT REALLY WORKS TO HEAL INJURIES AND ELIMINATE PAIN. I’m all about finding what works… and unfortunately, a lot of the advice out there, even from trained professionals and reputable sources… does not work! Some of the most effective methods I’ve discovered for eliminating pain and healing injuries are counterintuitive - they required diligent research, testing, and creativity to discover. People get the best results when they follow a program that’s been properly designed. 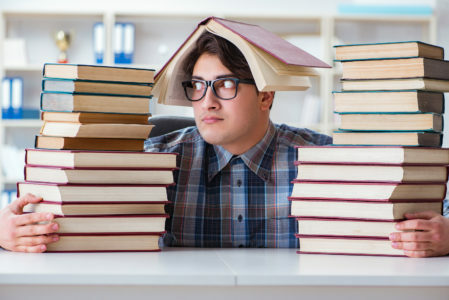 The best programs include only the exercises that are necessary, instructions for how to perform them properly, the proper order in which to perform them, and instructions for what the right amount of rest is, and when to take it. Not doing all the steps, or performing them in the wrong order, or taking too little rest, or too much, can throw you off course, and sometimes even make things worse. I’ve learned that understanding the CAUSE of injuries and painful conditions can help heal and prevent them. For example, most people don’t realize that they’re doing certain things every day that put stress and tension on certain muscles, tendons, tissues and joints, and over time, this creates chronic pain and injury. Simply becoming aware, and then making tiny adjustments, can actually result in a much higher quality of life for many people. But, do my exercise programs really work? I have spent 2 years in terrible pain. I’ve been through MRIs with the diagnosis of inflammation in my hip flexors on both sides. I go to a chiropractor 2x a month. No help in 2 years. I’ve cried just trying to go up stairs or walk. Sleep was difficult because I tossed and turned because the pain would wake me up. I’m a very active person so it’s been emotionally hard on me as well. “I’ve had a problem with the fascia in my left glute/thigh for over three years. It got to where I could hardly go up stairs, and would wake up two or three times each night from the pain/discomfort. I tried yoga, two different physiotherapists, a prescription topical cream from my doctor, foam rolling, massage and 222’s. None of these were very effective. “The last 3 years have been really rough. Lots of sitting in the hospital with my husband then I had my foot fused in 5 places. Long story short. I bought the Unlock Your Hip Flexors program last month. I did the exercises and had an immediate change! Stronger, more fluid movement, not sore at all! You save money. You won’t need expensive therapy appointments, training sessions, courses or seminars. These videos alone can help heal your rotator cuff, reduce and eliminate your shoulder pain, and get you back to full functionality in your shoulders, so you can do all the day-to-day things you need and want to do, and go back to your independent, active, healthy life! Brief overview of what the rotator cuff is, how it works, what causes injuries there, what the common symptoms are, which activities make it worse, and some important tips for healing it fast. Get your questions answered and get valuable support, accountability and inspiration in the Exercises For Injuries VIP Coaching Group. Anytime the Effective Rotator Cuff Exercises program is updated, you will receive a free copy of the new version. You can TEST-DRIVE this program for 60 days with no risk! If you still have shoulder pain and your rotator cuff still isn’t healed, just get this program and try it out for 60 days. 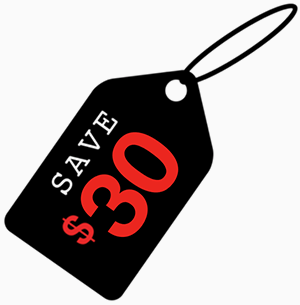 It’s only $29, and you’ll get all your money back if you don’t get the results you want. You have 60 days to go through the entire program, do all the stretches and exercises, see what results you get, and judge for yourself whether it was worth it or not. If you feel like it wasn’t, we’ll gladly refund all your money. Why don’t we do exercise programs consistently? No problem. You don’t have to join a gym, or buy any expensive equipment to do the Effective Rotator Cuff Exercises program! No problem. I designed this program so you could complete it in 13 minutes (or less) every day. This, combined with the fact that you don’t need a gym or any expensive equipment, might make this the most convenient exercise program ever! Perfect. This program is low-impact, so it’s safe for virtually everyone, even people who are out-of-shape... even people who have never exercised a day in their life. Most of my clients don’t want that either, which is why this program is designed not to exhaust you, but give you a good workout that gets results, without making you want to take a nap one hour later. program for? And who is it NOT for? You can do this program if you’re 26, 36, 46, 56, 66, 76 or older. You can do this program if you’ve never exercised a day in your life. You can do this program if you have mild or serious shoulder pain and problems. You can do this program if you’re out of shape. You can do this program if your body doesn’t feel flexible. You can do this program if you have a very busy schedule - the whole routine takes only 13 minutes (or less) each day. 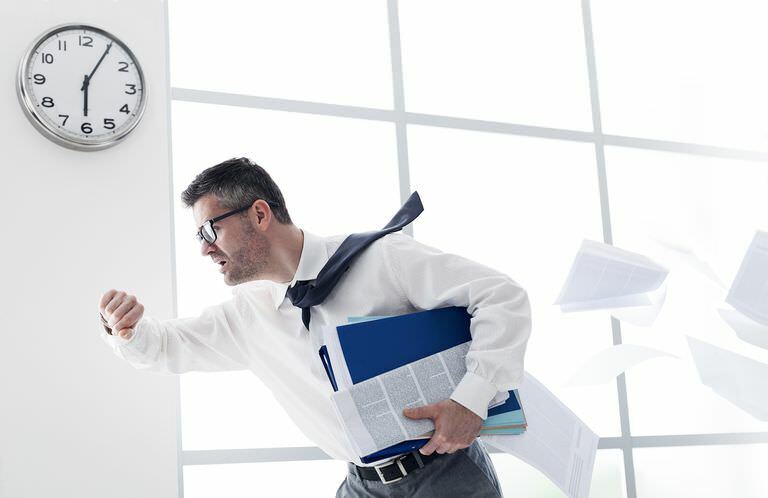 You can do this program if you have irregular working hours or an unusual job - these simple and easy stretches can be done before work or after work. You can do this program if you hate working out and exercising, because these easy, gentle stretches aren’t really even a workout. You’ll never even break a sweat doing this program. The only person this program is NOT for, is someone looking for an instant fix. There is no such thing as an instant fix for healing the rotator cuff. This program takes some work on your part and takes some time to get the results you want, but the good news is: it doesn’t take very long. Q: I was surfing around the Internet and found a bunch of exercises for recovering from rotator cuff injuries. Will these help? You can definitely find exercises for recovering from rotator cuff injuries online. But, you won’t find a comprehensive program that includes 7 different approaches designed to work together to give you gradual progression toward the ultimate goal of healing your rotator cuff, reducing and eliminating your shoulder pain, increasing range of motion, and getting you back to full functionality in your shoulder so you can do all the day-to-day things you need, and want, to do. You won’t find a complete program that has been carefully crafted, by a TRUE expert, based on scientific research and real-world testing, that includes ONLY the necessary exercises, with instructions on how to do them in just the right sequence, with the right number of repetitions and sets. That’s exactly what Effective Rotator Cuff Exercises is. Q: What kind of equipment do I need to do this program? While many of the exercises and movements in this program are performed with your body only, you will need a few basic and inexpensive items that you can purchase at most department stores, or on Amazon.com. This will all be covered in the program so you know exactly what to get and how to use it. Q: I’m almost 70 - can I do this program? Absolutely. This program is very low impact, and uses a gradual progression approach, which means we start out very slowly and gently, and then increase the intensity and duration of the exercises and stretches only as much as you can safely handle. Q: How long does it take each day to do the exercises in this program? 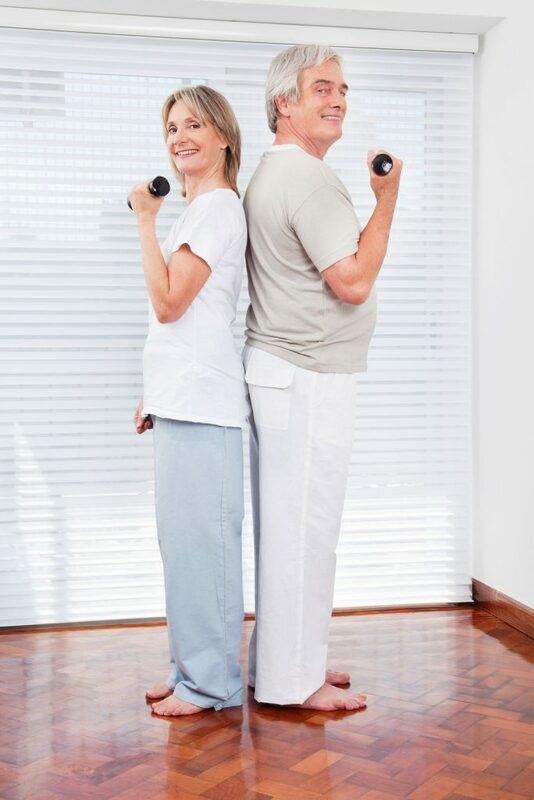 Each exercise session in this program is designed to take 13 minutes or less to complete. It may take a little longer in the beginning as you’re first learning the stretches and movements, but you’ll have it down to 13 minutes or less in no time because these sequences are very easy to learn. Although everyone is different and will experience different results, many people experience improvements in their balance in as little as 7 days. Yes, and no. Most fitness and health professionals take a shotgun approach to exercises for injuries. They keep giving you more and more exercises, hoping they will help. I don’t do that. My program includes only the exercises you need. I also recommend you do them in a specific sequence and I give you precise instructions on how many repetitions and sets you need to do. My program has been carefully designed, based on scientific research and real-world testing, and it is a SYSTEM that has already worked for other people. There will be no guesswork or confusion on your part – everything is laid out clearly and easy for you to follow. My best advice for you is to stop all of the other exercises you are doing, and focus only on the Effective Rotator Cuff Exercises program for at least the next 14 days. Q: Can I use this program if I’ve had an injury or surgery? The answer to this is very individual. It depends on what type of injury or surgery you’ve had and how you’ve recovered from them. 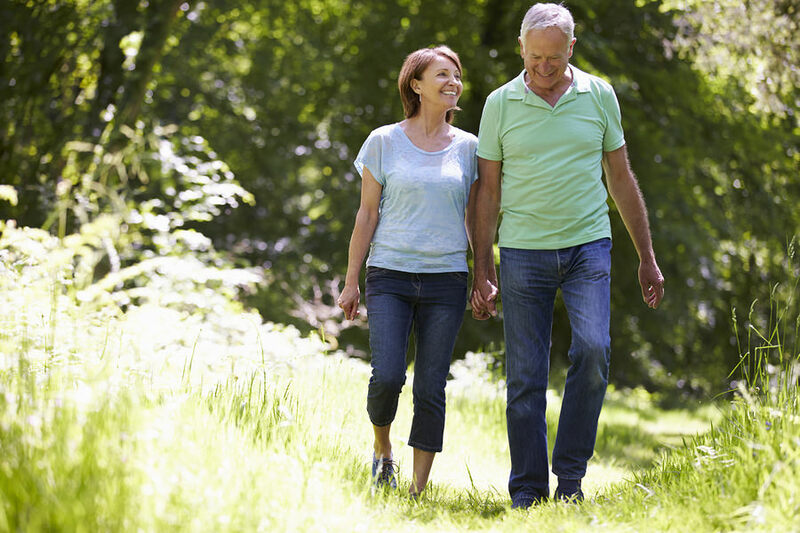 It’s best to ask your surgeon or doctor to see if this program is suitable for you. Not at all. These are simple and natural movements that you will easily “get” after one or two viewings of the videos. And each stretch, movement and exercise is very gentle. Q: How long does it take to get my DVDs? There are no DVDs – we won’t be sending you anything in the mail. This is a digital video product, which means you can access everything online, on our secure download web page. 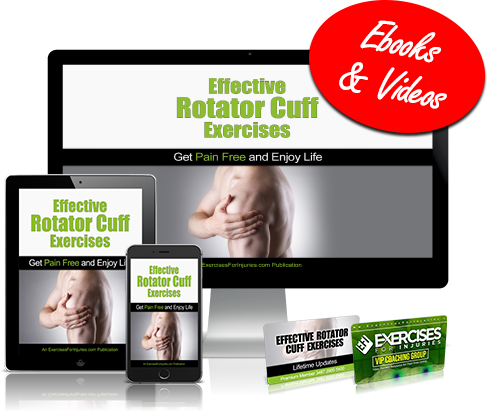 You get access to this download web page and everything in the Effective Rotator Cuff Exercises program (all the videos, manuals, reference guides, and trackers) immediately after you order. You can immediately download everything onto your computer and get started right away. You don’t have to wait for anything to arrive in the mail. No, you can watch the videos whenever you like (even at 3 am), do parts and pieces whenever you have time, do everything at your own pace, and revisit any aspects of the videos anytime. Yes, you can. You can download the videos to your computer and then burn them to a blank DVD. This allows you to watch the videos on a DVD player at home, on your laptop, or on a different computer that has a DVD drive. Q: Can I watch the videos on my smartphone or tablet? Absolutely – the videos are in M4V format that can be viewed on any computer, tablet or smartphone. Q: What if the Effective Rotator Cuff Exercises program doesn’t work for me? The chances are very good that it will work for you, but just so you feel totally comfortable… if you decide, for any reason, or no reason at all, that you’d rather get your money back, we will refund all your money, no questions asked, as long as you contact us within 60 days of your date of purchase. Video, Manual PDF, and Fill-In Sheet PDF to help you assess your current condition. A brief overview of what the rotator cuff is, how it works, what causes injuries there, what the common symptoms are, which activities make it worse, and some important tips for healing it fast. Get your questions answered by my team of health and fitness experts and get valuable support, accountability and inspiration. Will you still have shoulder pain? Will you still be unable to use your arms fully? Or will it get worse? others to care for you? Your shoulder pain might get worse. ...and this might make you feel like a burden. I don’t mean to scare you with these possibilities, but this does happen to people who have rotator cuff injuries. 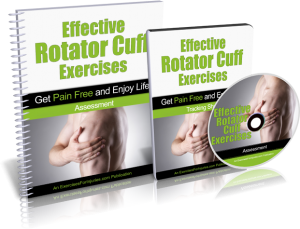 ...instead of waiting to see what happens, you could just TRY my Effective Rotator Cuff Exercises program RIGHT NOW and see what kind of results you get. And if you don’t like the results, just contact us within 60 days, and we’ll give you all your money back. If you try my program, I’m 98% sure that within 30 days (or sooner!) you’ll start seeing some new and positive results. Because nothing works for everyone. ...to see if this program could actually help you heal your rotator cuff, ERASE YOUR SHOULDER PAIN FOR GOOD, and get you back to full functionality in your shoulders, so you can do all the day-to-day things you need, and want to do, and go back to your independent, active, happy life? ...especially since you have no risk?